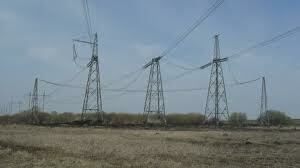 Transposition in transmission line is a technique use to restore some sore of “electrical voltage drop” and current balance of the transmission line system. It is only applicable though in three phase system. It us done by literally, and physically exchanging the conductor position along the line. When the conductors of a three phase line are not spaced equilaterally, which is case often, the flux linkage and inductance of each phase are not the same. This difference in each phase results in an unbalanced circuit. Balance of these phases can be restored by exchanging the positions of the conductors at regular intervals along the line so that each conductors occupies the original position of every other conductor over an equal distance. Transposition results in each conductor having the same average inductance over the whole cycle. Modern power lines are usually not transposed at regular intervals, although interchange in the positions of the conductors may be made at switching stations, in order to balance the phases more closely. Thanks a lot....... To provide me such a good tutorial.